Easy to learn and fun to play, Euchre has been passed down through the generations. Euchre offers both beginners and experienced players the opportunity to develop valuable card-playing strategy and techniques. Euchre is uniquely American, created by French colonists in the 1790's. Includes two special Euchre decks with 7-A suit cards plus various counter cards, and two jokers. 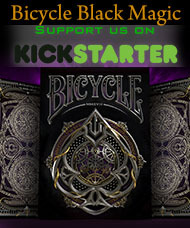 Featuring the Bicycle® Racer Back design cards, first introduced in 1895. 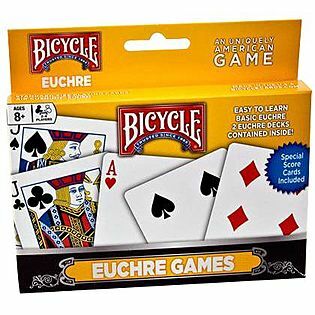 Includes two standard size decks of genuine Bicycle Euchre cards.